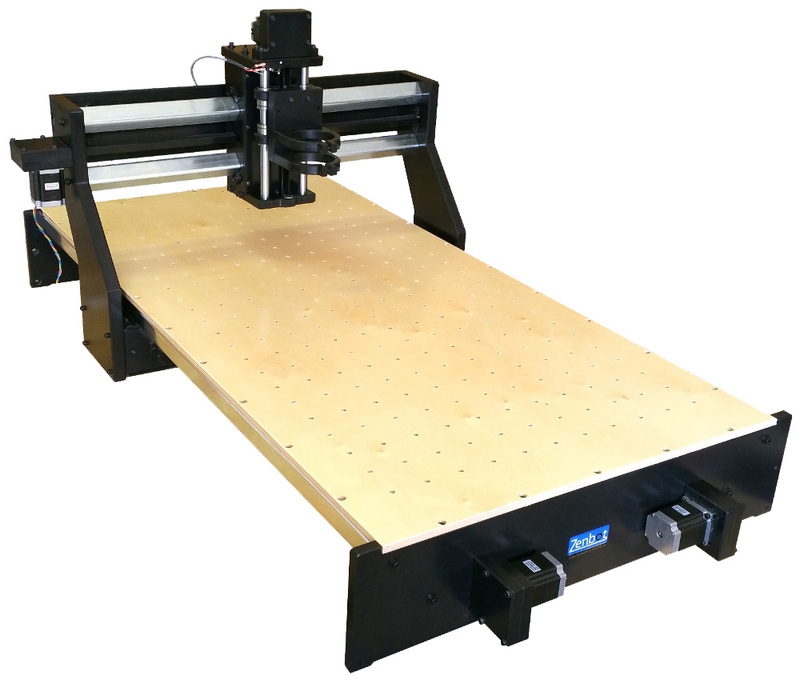 The Zenbot 2448 CNC Router is perfect for hobbyist and professionals. Excellent precision gives you the ability to do precise inlays, 3d carvings, engraving, and pcbs. The ruggedness empowers you to tackle the toughest wood working projects, cabinets, non-ferrous metals, plastics, signs, etc. Zenbot machines can handle abuse so they are excellent for first timers or an education setting. Our machines are used by industry, Universities, high schools, small businesses, and hobbyists all over the world. Zenbot has built a reputation for quality and excellent customer service since 2006. If you have any questions, or need any assistance, were here to help. What can you make with your Zenbot? Constructed of extremely durable HDPE (High Density Polyethylene) with Baltic Birch 1/2" prefinished plywood top with steel supports. Steel-reinforced urethane 3mm pitch 15mm wide synchronous drive belts. Linear motion system with ball bearings preloaded on 1.5 " square 1/8" thick walled steel tubing on X axis and 1.5" square steel tubing on Y axis for ultra smooth motion with zero slop. X and Y axis have strip brushes to keep the rails clean and smooth. z axis has rubber seals. Z-axis features 20mm hardened linear rail with recirculating ball linear bearings. Matrix of 1/4-20 threaded steel inserts in the table for convenient fastening of the workpiece. Assembled entirely with steel bolts so all parts are replaceable. All parts are cut on a professional CNC router to snap or press-fit tolerances to ensure proper fit and alignment. 1-year warranty on manufacturer's defects. email and phone support for life. Replacement parts available. Option A: PC that meets mach 3 requirements (check very carefully). you need a desktop PC running windows 7 32 bit with a parallel port (old style printer port) and a non-integrated graphics card (not built into the motherboard) Option B: Any newer version of windows (including 64 bit, windows 10, etc.) or even a laptop, if you use a UC100 motion controller. you can get them on amazon or other online retailers for about $110. material hold down. attach a piece of sacrificial mdf to the table top and machine it flat with the machine itself. then use t slot clamps, cam clamps, double sided tape, or custom fixtures to hold your part. 57 3/8" x 28 5/8"